Safety comes high on the list of requirements when undertaking projects, so Jones Brothers have formed relationships with many qualified scaffold contracting companies in Guildford, this enables us to keep scaffolding costs to a minimum, ensures the best possible Health and safety standards and gives greater control over erection and dismantling times. Green roofs are becoming more popular as people recognise their many benefits. A green roof increases biodiversity and wildlife particularly important in urban areas, where they provide small havens for insects and birds and act like a 'stepping stone' through what could otherwise be described as an environmental desert. A green roof is more energy efficient, reducing heat lost through the roof and preventing too much heat penetrating the roof in the summer. Green roofs are excellent noise insulators, not just from external forces such as heavy rain hammering on the roof, or low flying aircraft, but can also dampen noise emitted from the building, particularly important in a commercial situation. Green roofs have a much longer life span compared to traditional bitumen roofs. 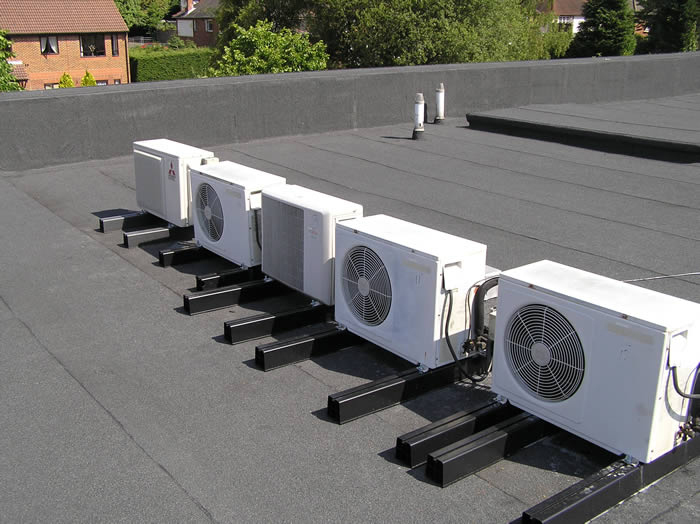 Extending the viability of the roof by as much as 2 or 3 times. Reduces surface water run-off. Rainwater is generally directed to underground drains and at times of heavy rain this can cause problems, particularly in built up areas. 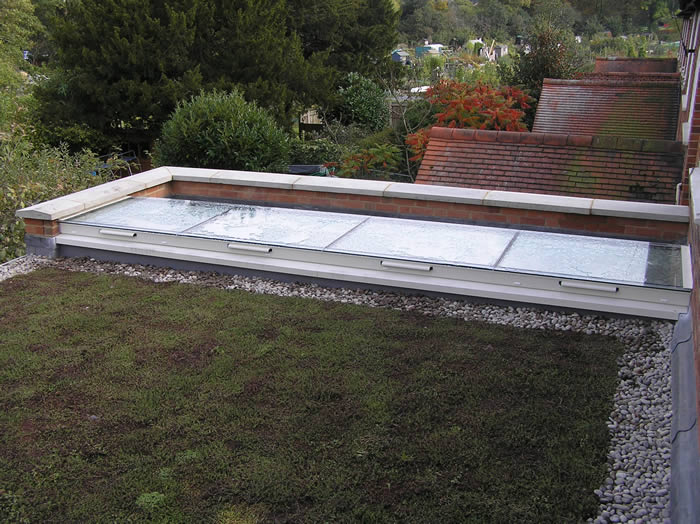 A green roof absorbs the water and releases it gradually lessening the risk of flooding. Liquid coatings are applied by brush or roller whilst still cold and contain glass fibre or polyester in layers of liquid. Liquid coatings have been developed over recent years to give very high levels of adhesion and in the right situation that they form a very high quality roofing membrane. No need to remove old roof surfaces. Ideal for roof refurbishments & overlays. Good when access is limited. Only applied by approved installers. Jones Bros (Flat Roofing) Ltd are approved to install all the following Liquid Plastic products, Kemper and Sealoflex systems. Even today the benefit of three layer felts are still the most popular flat roof covering and have been so for many years. The first type is BU FR Roll and pour, the hot bitumen method which is now rarely used because of the health and safety problems associated with it. 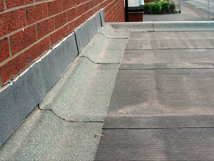 The main felt roof method adopted within the industry is known as the Torch-on method where the surface is pre-coated in bitumen, which is then heated for a few moments before being laid directly to the roof surface. At Jones Bros Flat Roofing we use only the highest quality SBS type torch-on felts. The most economical type of roofing. Very long lasting due to quality felts. Delta Waterproofing, Icopal/Anderson, Bailey, Langley Waterproofing, & Ruberoid. Lead has been used on roofs for over two hundred years and is still widely used by house builders today. When correctly installed using the correct lead thickness and material it is extremely durable with a life expectancy of over thirty years. It can also be used to form flashings, waterproof detailing, cavity trays, decorative features and cappings. Suitable for all traditional builds and conservation builds.